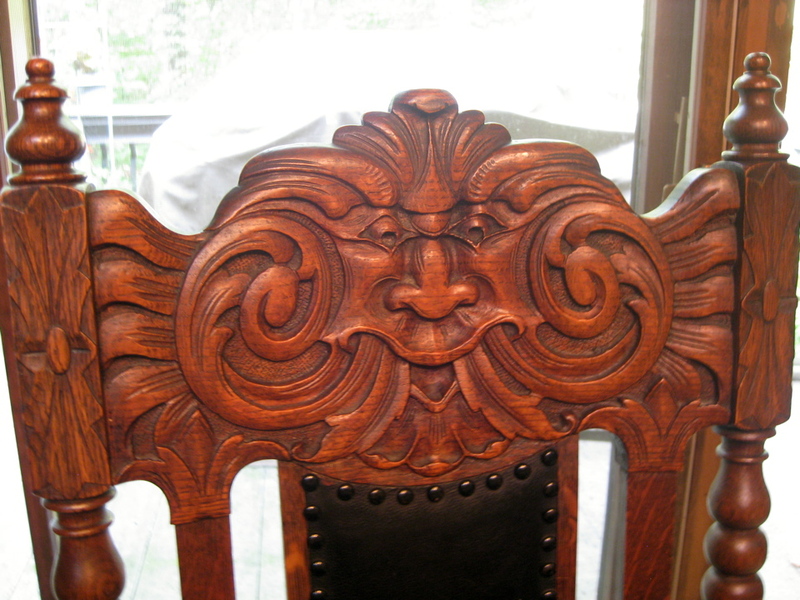 My grandmother’s dining room chairs were all hand carved. In addition to being royal thrones and pieces of architecture and sculptures on display, for the most part chairs are practical, useful, and common pieces of furniture. 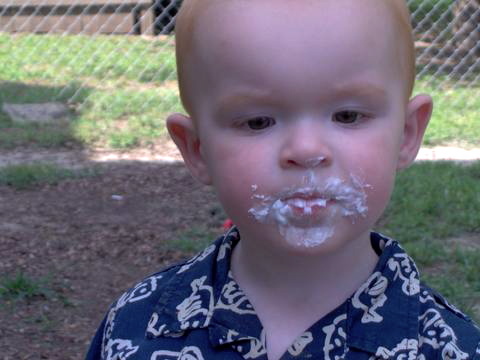 The basics include potty chairs, high chairs, lawn chairs, folding chairs and rocking chairs. If you want to make an elite statement, the Chippendale chairs continue to be the popular, collectible and outlandishly expensive choices. My mother and I have always loved chairs of all kinds. One of my favorite expressions I heard her say, as well as my grandmother, an aunt, and several older neighbors say, was “Come on in and sit a spell.” What I loved best about the invitation was the word “spell.” Of course it meant to sit awhile, but to me it also cast a spell and became something magical. Being with friends, sharing conversation, ideas, and cookies with iced tea, hot tea or coffee created a special moment in time. 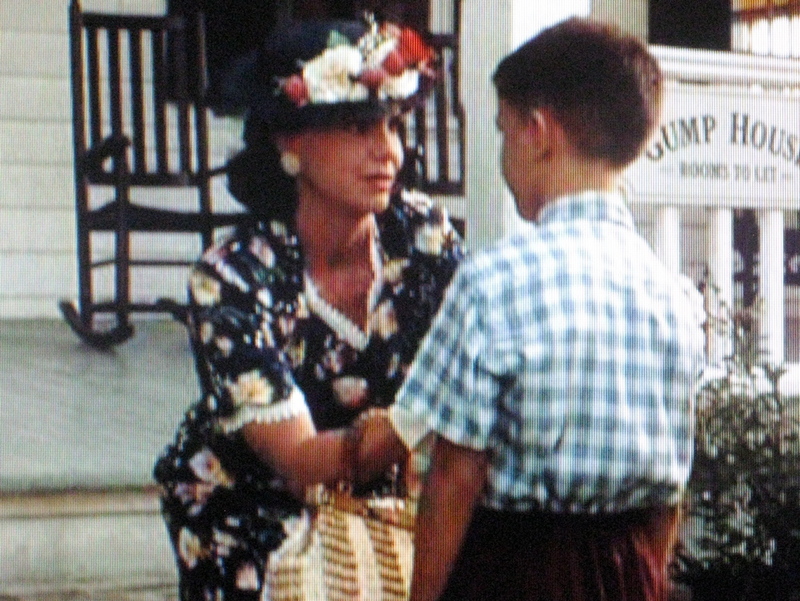 This first week of May, I hope we’ll all be aware of the gentle rocking chairs in our lives, the given-new-life hand-painted chairs, and the true friends who encourage, comfort and support us, offering safe refuge from the world. 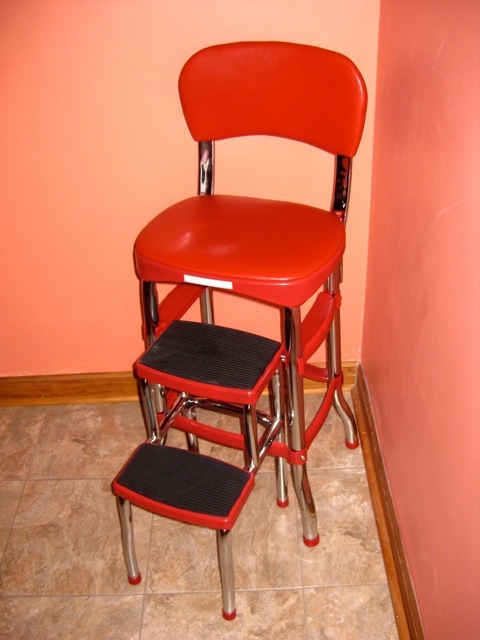 Retro-Kitchen step-chair, a perfect reminder of my mother’s kitchen. 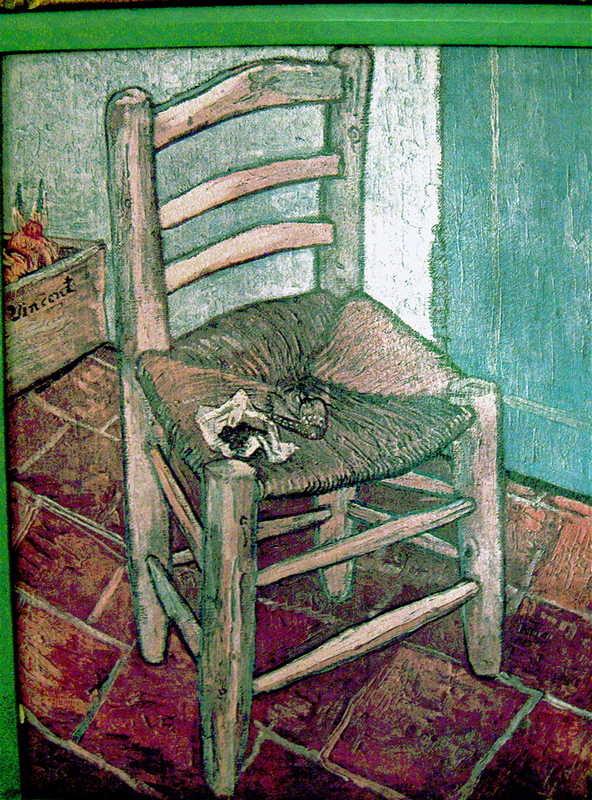 A print of VanGogh’s “Chair” in hallway of my mother’s assisted living. The first chairs were probably flat rocks large enough for cave men to sit on, and high enough to lean against. As civilization evolved, so did chairs: royalty sat on thrones; polio victims traveled in wheel chairs; babies were lulled to sleep in rocking chairs and rode more safely in car seats: convicted killers were sometimes executed in electric chairs. My mother’s interior design choices were a combination of practical, functional, comfortable and attractive. The upholstered furniture in our home was purchased from stores. 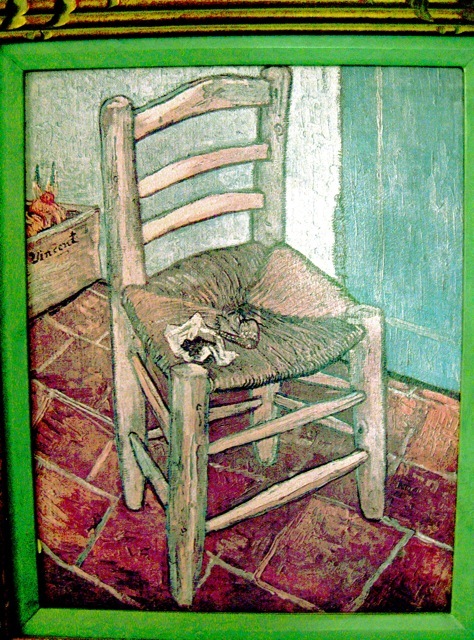 Many of the casual tables, wooden chairs, bookcases and blanket chests were inherited or bought at unfinished wood or consignment furniture shops, and then Mom sanded, stained or painted them. 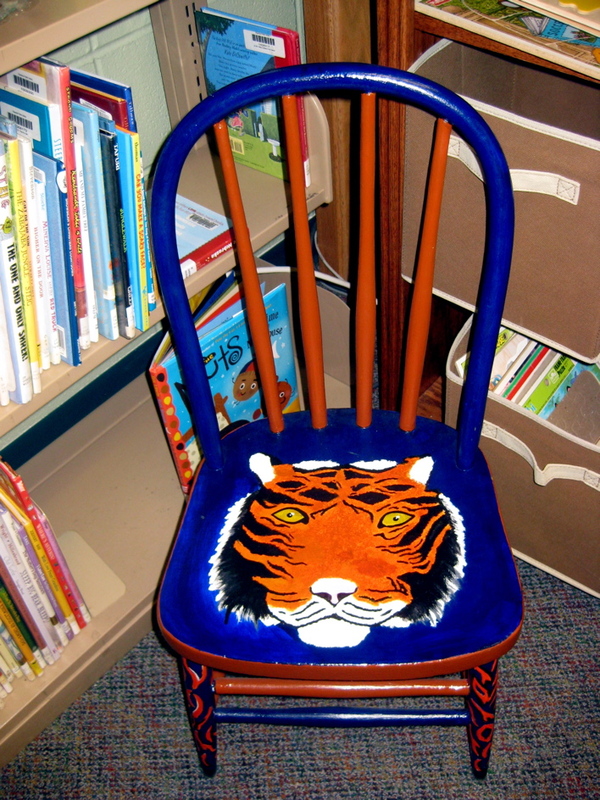 I’d find her in the garage, humming in time to her brush strokes that created a colorful desk chair for her writing desk. When I was thirteen, Mom and I bought an old foot stool that I stained, and then together we wove a new cover across the frame. 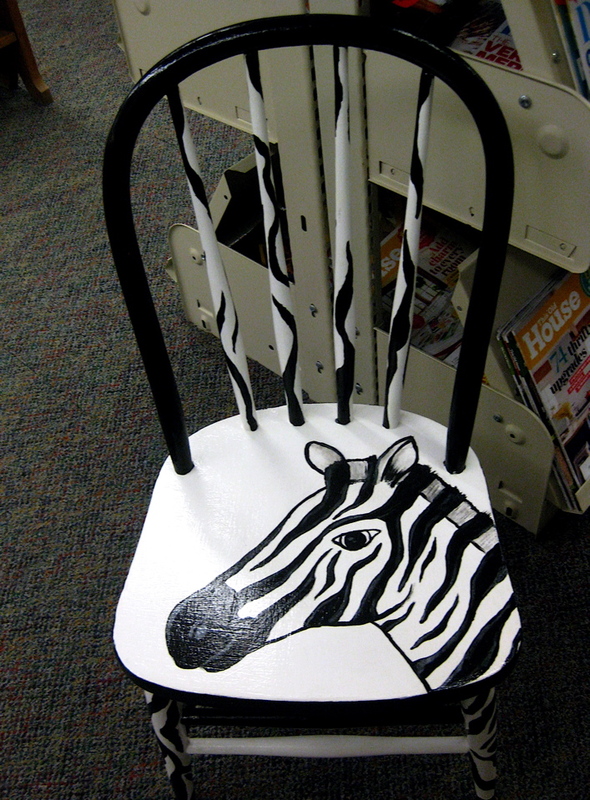 Our family tradition of chair creations continued this year. 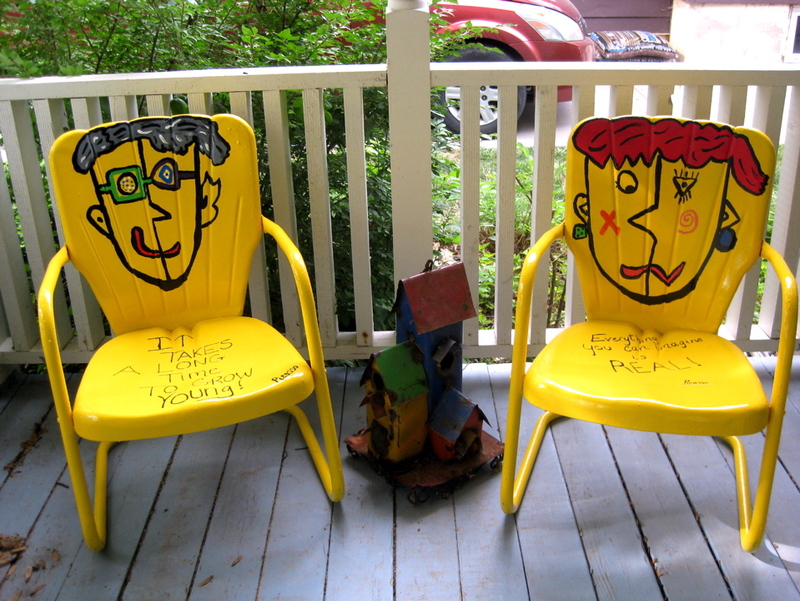 For our anniversary gift, our daughter Molly painted metal lawn chairs bright yellow. 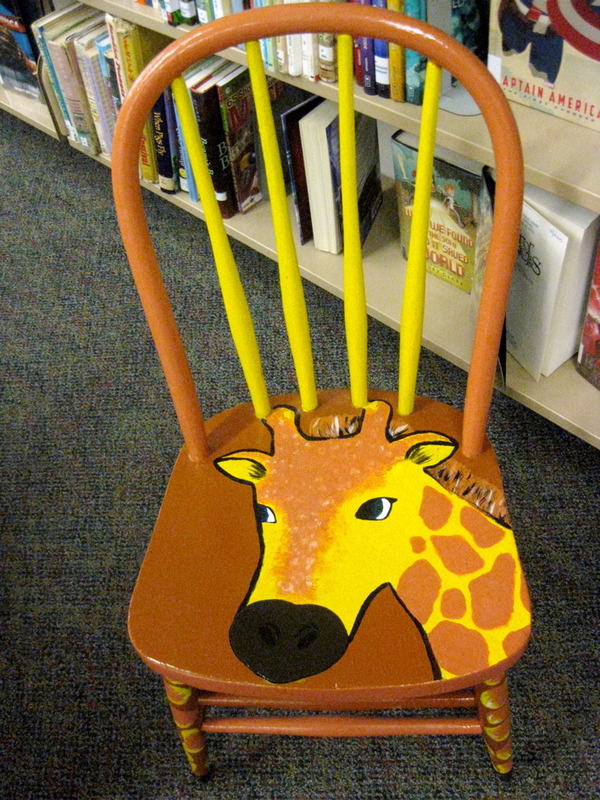 Her children, big Picasso fans, drew our “portraits,” and Molly painted them on the chairs. 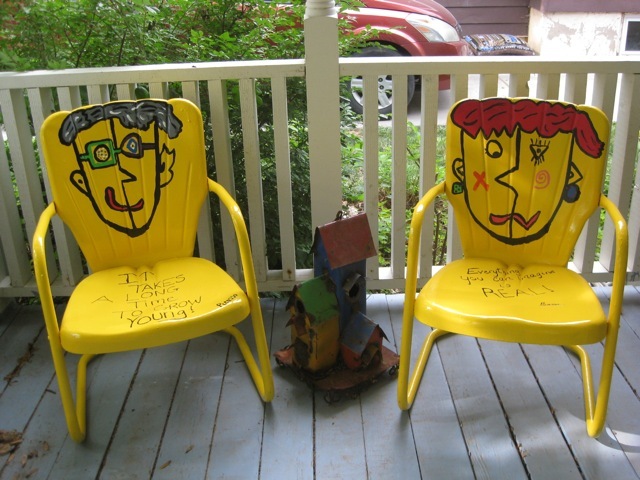 On the seats she painted Picasso quotes: “Everything you can imagine is real” and “It takes a long time to grow young.” Even our porch chairs show how much fun restoring and painting can be. Mom’s favorite chairs now are her lounger where she spends most of her waking hours, and dad’s old wheelchair that transports her to the flower garden on nice days. 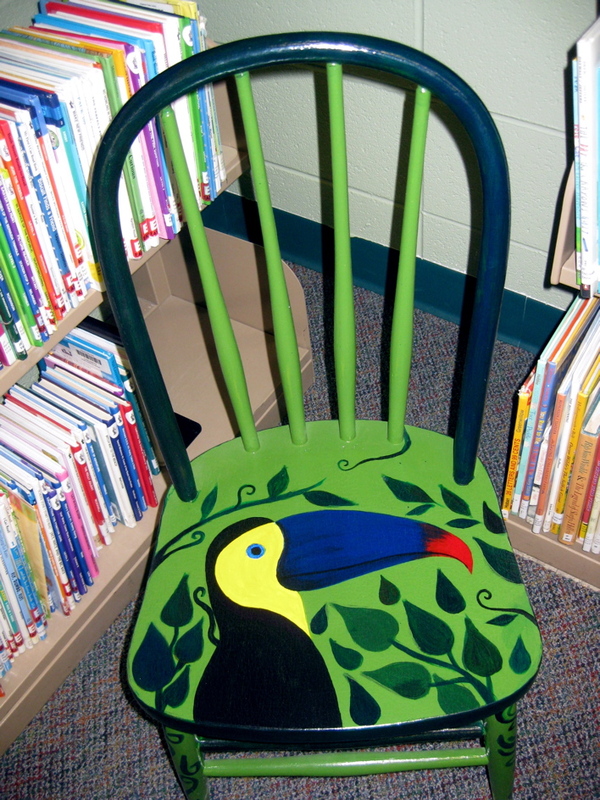 She no longer uses the rocking chair where she used to sing to babies, or the chair that was large enough she could sit with both her great-grandchildren and read to them. 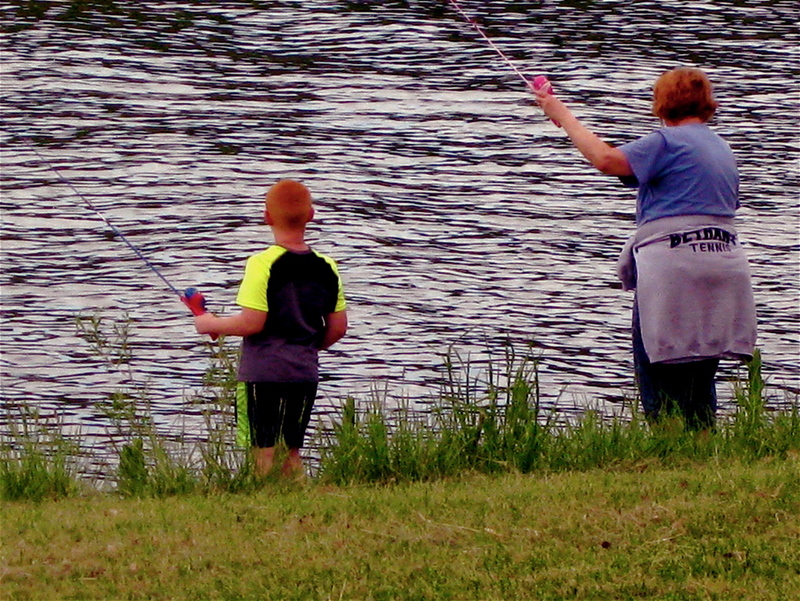 Because of her dementia she does not remember these times, but the children do. For them, these chairs are memory makers. 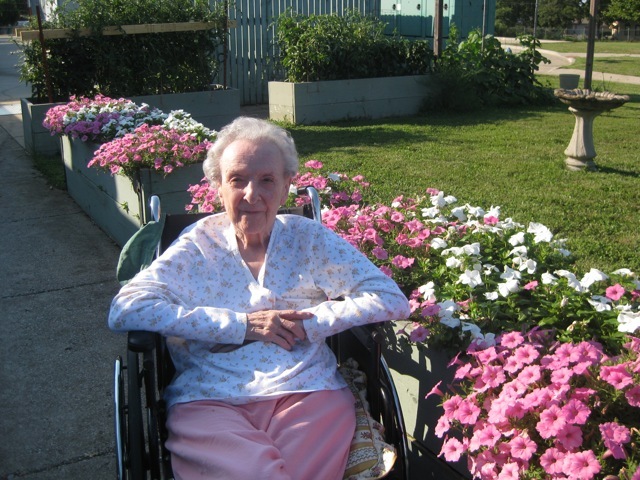 2012 ~ Mom in the wheelchair that was Dad’s, out to enjoy the flowers. 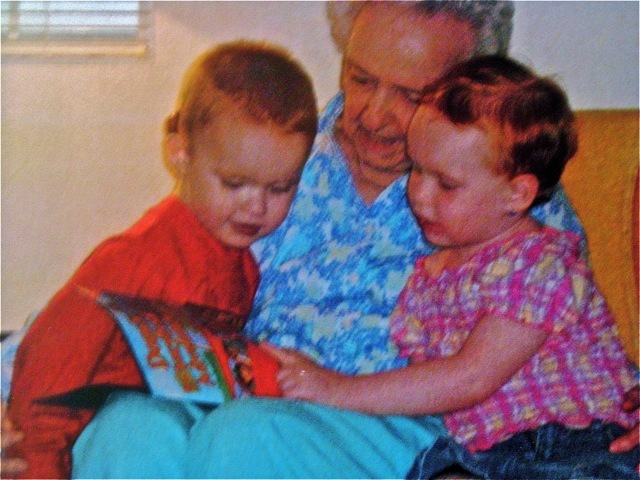 Mom reading to her great-grandchildren in 2007. 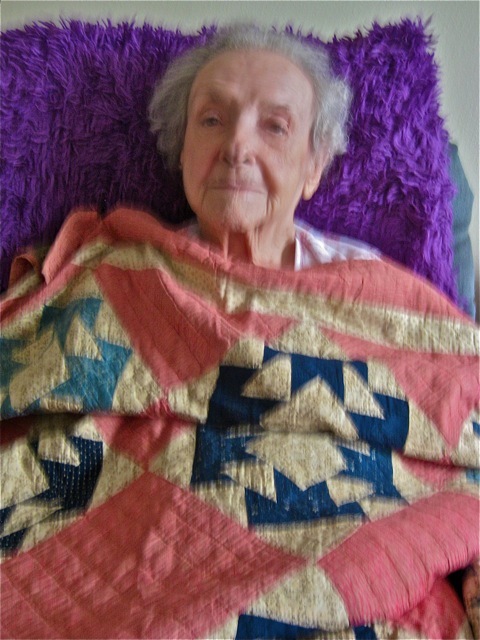 Mom in her lounge chair, 2013, wrapped in a quilt made by her mother.